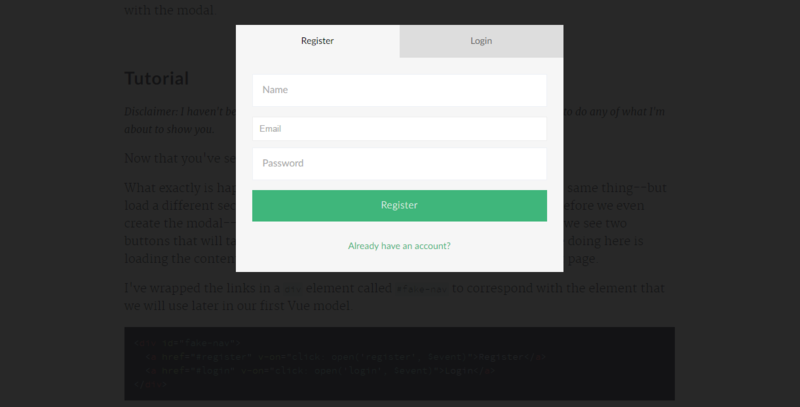 Follow this tutorial and see how you can build a login - register modal with Vue.js from scratch. Fully functional with a nice code flow which makes use of many features as well as CSS rules for styling. The guide is written with Vue 0.12, Alex Kyriakidis has updated the fiddle using Vue 1.0.26. You can find the updated code here.